For a video summary of the report's findings, click here. The third quarter of 2017 presented some unforeseen challenges at the national level while also setting the stage for optimistic projections regarding the close of Fiscal Year 2017. In Q3 2017, WarmlyYours saw continued growth in several familiar product lines and unexpected increases from new products. 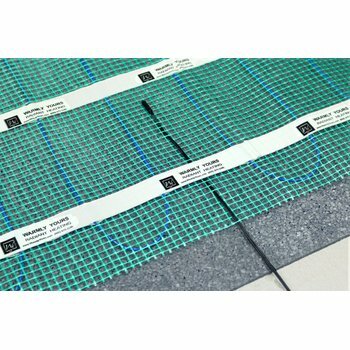 Electric floor heating, our flagship product line, exemplified this pattern with continued growth in systems like TempZone Shower Mats and with accessories like the Prodeso Cable Installation Membrane, while product updates to the TempZone Custom Mat have opened the door for future market-share expansion. 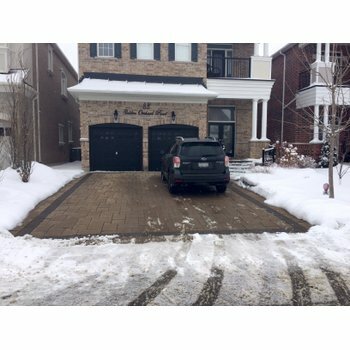 - A snow melting install video went viral on YouTube, gaining nearly 750,000 views in Q3 2017. - WarmlyYours co-sponsored the inaugural NEXTgen Future Business Leaders Conference in Austin, TX with the SEN Design Group. - Official launch of the Marquee Series of LED Mirrors led to huge growth in this new product line. - Launch of DIY Roof and Gutter Deicing Kits introduced constant wattage option. - Significant increases in online traffic from social media platforms. - Surprising growth in new metro markets that is projected to continue in Q4. In this report, we’ll explore what caused these developments and what they might mean for the future. We will also analyze the national remodeling, construction, and real estate industries and the impact they’ve had on radiant heating sales. Despite early national projections of third quarter growth in remodeling activity, the actual data shows a flat trajectory due to a stalled housing market. According to the Leading Indicator of Remodeling Activity (LIRA), a quarterly assessment of renovation activity that is compiled by the Joint Center for Housing Studies of Harvard University, the rate of change in annual home renovation and repair spending dropped slightly between the second and third quarters, from 6.7% to 6.4%. Furthermore, this rate of change is predicted to remain relatively flat until the end of the third quarter in 2018 when it’s expected to reach 7.7%. According to Chris Herbert, the managing director for the Joint Center, this stutter-stepping development can be attributed to several factors. This tightening of available inventory has been a challenge facing the national housing market for several concurrent quarters. The supply-crunch has led to per-unit pricing in most regional markets greatly outpacing growth in wages, which means that many buyers have been pushed out of the market. This is particularly true of potential first-time homebuyers. According to Lawrence Yun, the chief economist for the National Association of Realtors (NAR), first-time homebuyers made up only 29% of sales in September 2017, which was the lowest level in two years. This tightening of supply has a domino effect on radiant heating sales, as housing sales have a direct correlation with prime remodeling activity. When less homes exchange owners, less renovation occurs—which results in a decrease in demand for products like electric floor heating. While sales of existing homes did increase slightly in September (at 0.7%), it doesn’t look like a pattern reversal, as pending home sales remained flat in the same time period. According to NAR, their Pending Home Sales Index was at 106.0 in September, which is the lowest it has been since January of 2015. According to many experts, including Redfin, the Joint Center, and NAR, the 2017 hurricane season had a significant impact on the housing market, particularly in the communities directly impacted by the storms including Houston, TX and huge swaths of Florida. Tens of thousands of homes were destroyed and hundreds of thousands more were damaged by these early fall storms. However, due to the relatively strong economies and consistent population growth in these areas, the housing markets are expected to make an eventual recovery which may jumpstart remodeling activity at both the local and national levels. The one potential panacea for the housing shortage is, of course, new construction. However, according to the U.S. Census Bureau and the U.S. Department of Housing and Urban Development, both building permits and housing starts for privately owned housing units were down in September 2017 when compared to August, while housing completions were actually up 1.1%. Nearly all metrics were higher in September 2017 than the previous year. According to Redfin, this increase is not necessarily a solution to all problems as the new construction projects are incurring high costs due to increased prices in labor and materials, which is an effective disincentive for potential investors. Ultimately, the housing market will reach a point of saturation and the financial incentive for new construction of affordable properties will begin in earnest. The question is “When?” and there doesn’t appear to be consensus on that point amongst the experts. The third quarter of 2017 saw the cumulative growth of several product lines in year-to-date sales including other products (up 257.3%), underlayments (up 18.1%), and towel warmers (up 16.1%). This quarter marked the seventh consecutive quarter of growth for the underlayments product line. This was fueled by a 29.2% increase in Q3 sales of the Prodeso Cable Installation Membrane, which continues to be popular with both homeowners and trade professionals. The meteoric rise in the other products category was due in no small part to the official launch of the Marquee Series of LED Mirrors in mid-August. These lighted mirrors represented the first non-heating products from WarmlyYours and have proven to be very popular. Which is why WarmlyYours will be revisiting and revamping the current collection along with adding new models in the relatively near future. Towel warmers ended Q3 constituting 16% of all WarmlyYours sales (up from 12% in Q3 2016). The Metropolitan and Barcelona were the two fastest growing models at 173.1% and 151.2% respectively. Many of our customers remark positively on the Metropolitan’s impressive size, heat output, and modern design. The Barcelona’s growth can almost certainly be attributed to its unique free-standing nature and DIY-friendly plug-in electrical connection. In the next few quarters, the towel warmer product line from WarmlyYours will receive a significant overhaul. New models, new finishes, and exclusive offerings are all currently in the works so make sure to keep on the lookout for new developments. In the third quarter of this year, we saw positive growth in e-tailer sales as a whole, which was led by Amazon (up 174.1%). Other products, towel warmers, and snow melting product lines were up 384.9%, 54.4%, and 10.8% respectively. The growth in ecommerce snow melting sales may have been driven by a relatively recent snow melting video that received nearly 750,000 views on YouTube in Q3 alone. This viral video was responsible for a nearly 5,000% increase in referral traffic to our website from YouTube. The level of engagement elicited by this video bodes well for future snow melting sales. WarmlyYours saw sizable sales growth in the Mideast, Great Lakes, and Rocky Mountain regions of the U.S. This correlates closely with building activity across the country. We expect these proportions to shift slightly in Q4 with the most significant growth in the Southwest, Mideast, and Far West. To close fiscal year 2017, WarmlyYours expects to see a slight uptick in sales of LED Mirrors, Environ floor heating elements, and towel warmers. We also expect to see some significant growth in several metro markets: Salt Lake City, Buffalo, and Houston. The projections for this growth are based on market research and internal WarmlyYours data. - WarmlyYours saw quarter-to-quarter growth of 117.05% in Q3. - This market has seen a 3.3% bump in high paying jobs in August between 2016 and 2017. - A hot housing market, coupled with relatively low home values, could mean a short term boost in sales activity. - High annual snowfall (94 inches) may lend itself to snow melting sales. - 48.47% increase in Q3 WarmlyYours sales. - High percentage of homeowners (63% of residents). - Saw a 2.4% increase in total number of jobs between August 2016 and August 2017. - Home values haven’t increased as rapidly as other markets, so sales activity will be less hindered. - Q3 ended with a 55.34% increase in WarmlyYours sales. - Kilowatt per hour pricing is significantly lower than national average, making electric heating an attractive option. - In Q3, new building permits and new construction starts were up 4.2% and 7.2% respectively from prior-year-period. - Over 100,000 homes were damaged or destroyed by Hurricane Harvey, and recovery efforts are in full swing. Of particular note concerning Houston, is the resilience of the housing market. According to Redfin, August home sales in this market dropped 25% before returning in September to levels flat with the prior year. This elasticity is due in no small part to a strong economy and significant population growth. With nearly 30 trillion gallons of water falling on the Houston area from the hurricane, one of the most common interior forms of damage was to the flooring. For the houses that flooded, this means most first floor hardwood, laminate, and carpet floors must be replaced. And while Houston does enjoy warm average temperatures, the nights can be very cool and many surfaces like tile, marble, and stone can be uncomfortably chilly. 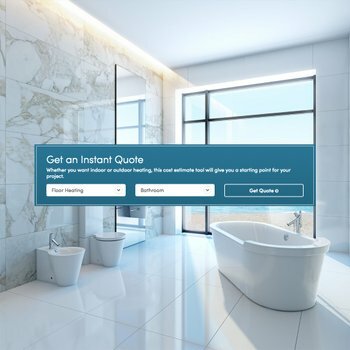 For these reasons, we’ve already seen an increase in consumer interest in the Houston area for quotes and orders of electric floor heating systems. We expect this trend to hold strong until roughly mid-December and then pick up again slightly after the holidays in the beginning of Q1 2018. According to the owner and president of WarmlyYours, Julia Billen, the company is expected to end 2018 strong. 1. Relevant WarmlyYours internal documentation. Next Post Where is Electric Floor Heating Growing the Fastest?